Between the beach, the sound of crashing waves, and the bright lights of skyscrapers reflecting on the water, Miami Beach sure is romantic, especially at night. Fortunately, for young (and old) couples in love, the romance doesn’t end at the beach. South Beach is home to plenty of romantic restaurants that are perfect for you and your significant other to enjoy a special evening. Here is a look at 10 of the most romantic restaurants Miami Beach has to offer. This place is the rare example of a steakhouse that can be romantic. The food is high-end, the service is excellent, and there is a great wine selection. Don’t bother going if you’re in a rush, but if you want to take your time and linger between drinks, dinner, and dessert while enjoying the ambiance, then this is the most romantic steakhouse you’ll ever visit. Located in the Fontainebleau Hotel, this is the perfect spot for a couple that loves Chinese food. This restaurant knows how to create a romantic atmosphere, and the rooftop location ensures a romantic feeling once the sun goes down. The entrees are also among the best Chinese food you’ll find anywhere in Miami. Also located in the Fontainebleau Hotel is Scarpetta, a great option for couples who love Italian food as much as each other. The dining room is elegant and guests are privy to a view of the ocean, so it’s not difficult to get swept up in romance while eating at Scarpetta. There are also plenty of tasty entrees and a great wine selection. This restaurant has two dining locations, and both are romantic. Inside, you’ll find a sunken dining room and an aging but elegant chandelier setting the mood. Outside, you’ll have the pool, green plants, and some well orchestrated mood lighting creating the romantic vibe you desire. There’s also a world-class chef in the kitchen, so rest assured your meal will be delicious as well. This place is the pinnacle of class, complete with a red carpet for guests to walk on upon entering. The dining area is spectacular with its gorgeous furniture and shelves stacked with books creating a cozy yet romantic atmosphere that makes you think you’re sitting in the home of your dreams. If you can’t afford to take your partner to the French Riviera, Villa Azur is the next best thing. Romance can be difficult to find, and so can romantic restaurants like Casa Tua. If you can find this hidden Miami Beach gem, you’ll be treated to magnificent lighting created with lanterns and candles that will instantly put you in a romantic mood. Between the setting, the top-notch Italian food, and the excellent wine selection, you and your amour will want to stay at Casa Tua for hours. This is a great place to bring a date no matter how long you’ve been together. The outdoor seating is amazing, as it’s filled with tress and gorgeous plant life, and the restaurant even has a retractable roof just in case you need it. You’ll come for the setting, but you’ll stay for the food, as Cecconi’s offers all of your favorite Italian dishes. Juvia is a Lincoln Road hotspot and one of the most romantic spots on South Beach. The restaurant is located on the roof of a parking garage, which gives you an extraordinary view, and the ambiance the restaurant creates matches the view perfectly, especially in the evening. 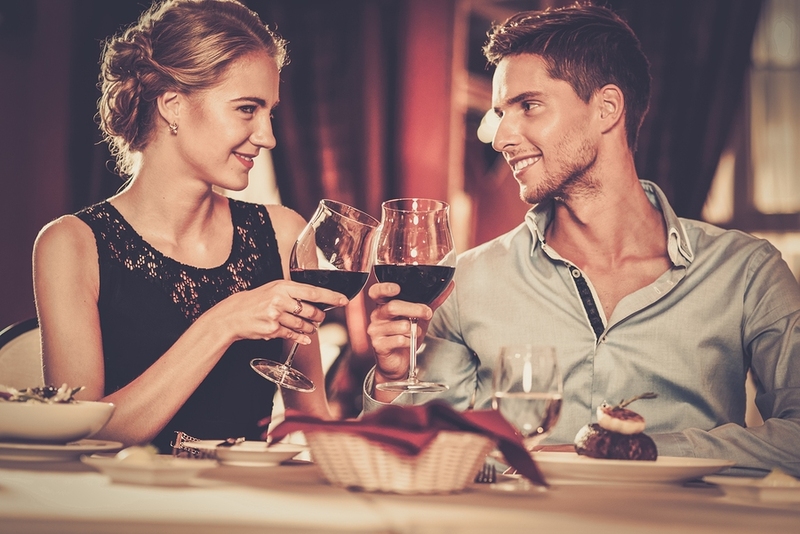 With a great menu and drink selection, it’s the perfect location for a couple celebrating a special occasion or just a couple trying to cap off a fun day the right way. If you can get a table at this rather small restaurant, you won’t be disappointed with the intimate and romantic atmosphere. You’ll feel like you’ve been transported to a charming Parisian bistro, and between the food and the ambiance at Pied a Terre, it’s easy to be consumed and overwhelmed with romantic inclinations. If wine is how you and your partner jumpstart your romance, then you must eat at The Forge and take a tour of their wine cellar. It’s the perfect way to begin a romantic evening, as the cellar is a cozy spot and the wine selection is out of this world. It’ll be hard to find a more delightful location, and the food won’t leave you disappointed either. This entry was posted in Dining, Miami Vacation tips, Nightlife by Bryan Zarpentine. Bookmark the permalink.